LTE is much more flexible than the use of spectrum as UMTS. LTE radio cells can use a bandwidth of 1.4, 3, 5, 10 or 20 MHz. The larger the bandwidth, the higher the data rate available. The freely selectable bandwidth, the operator maximum flexibility. Several bands are for the use of LTE currently possible.An option provides the UMTS extension band, also IMT extension band, which in the region between 2500 and 2690 MHz is located. This frequency range is not so good propagation characteristics and also the building penetration is not optimal, but it offers the possibility of LTE to operate with 20 MHz channel bandwidth, allowing very high data rates are possible. This frequency range is used in particular for the supply of the city areas with high population density. A further and very attractive opportunity for the operators are in the course of the digital dividend vacant frequencies between 790-862 MHz . Attractive because these frequencies have a much greater range, which can be saved in the expansion costs.Especially in rural areas so that a nearly nationwide availability can be achieved. Two other possibilities are the areas of 1800 MHz and 900 MHz. When the auction rate and frequency blocks were auctioned in the range 1800 MHz, and this can be used for LTE Frequency Is a later addition to the currently used for GSM 900 MHz band is another option. The above frequencies were auctioned in the second quarter of 2010 by the Federal Network Agency. Were auctioned in the field of digital dividend total of 60 MHz or 30 MHz paired, divided into 5 MHz blocks. Vodafone, Telefonica O2 and the German Telekom could bid on two blocks, E-plus went away empty-handed. The frequency range of the digital dividend and a strategic dimension, and is part of the broadband strategy of the federal government. To achieve target in 2010 in the issued coverage with at least 1 Mbit / s LTE in this band some help. For this reason, subject to the award conditions which have to fulfill the highest bidder. These conditions affect the supply in sparsely populated regions, to this end regions were classified according to priorities. In the range 2600 MHz (IMT extension band), there was something more to bid, 14 paired 5 MHz unpaired blocks and 10 blocks a 5 MHz. All German mobile network operators were able to bid on spectrum. Vodafone, Telecom and O2 could bid in the FDD paired region in each 20 MHz, 10 MHz paired E-Plus. In the unpaired band E-Plus and O2, each 10 MHz, 5 MHz Telecom and Vodafone have won 25 MHz ungeppart.The IMT extension band is a very special band. There is no other area that offers so much more freely available and contiguous frequencies and is suitable for mobile and mobile broadband services. The IMT Extension Band offers a special opportunity for multi-carrier LTE with a channel bandwidth of 20 MHz to operate, allowing very high data rates are possible. The 2600 MHz range is available in many countries for the use of LTE is available in such a way that can be expected with a good international compatibility of Endgräte, benefit both operators and consumers. Almost all large mobile operators such as Alcatel-Lucent, Ericsson, NEC, NextWave Wireless, Nokia, Nokia Siemens Networks and Sony are involved in the development of LTE. As the first company Samsung has launched a commercial LTE device on the market. The LTE USB stick exclusively dominated by Samsung LTE, is not so able to perform a handover to a 3G network, and operates in the 2.6 GHz range. He is currently being sold with contracts for the LTE network in Oslo and Stockholm. 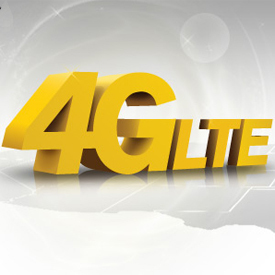 Because the situation is still unclear how the LTE voice will be implemented technically, LTE phones are expected before mid-2011, however, is more likely in late 2011. Rumor is currently being developed currently in the next iPhone 4g LTE capable. The availability of LTE and the first installations, both nationally and internationally documented in our LTE Atlas.